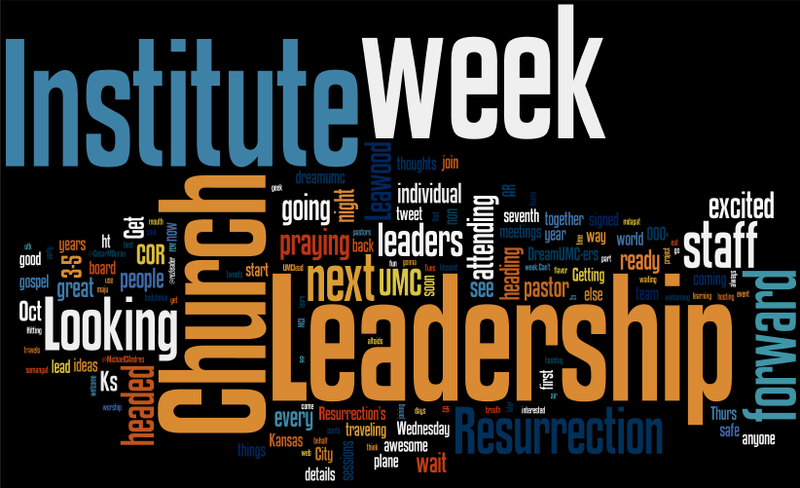 I am part of a team from First United Methodist Church in El Dorado, KS attending Leadership Institute 2012. 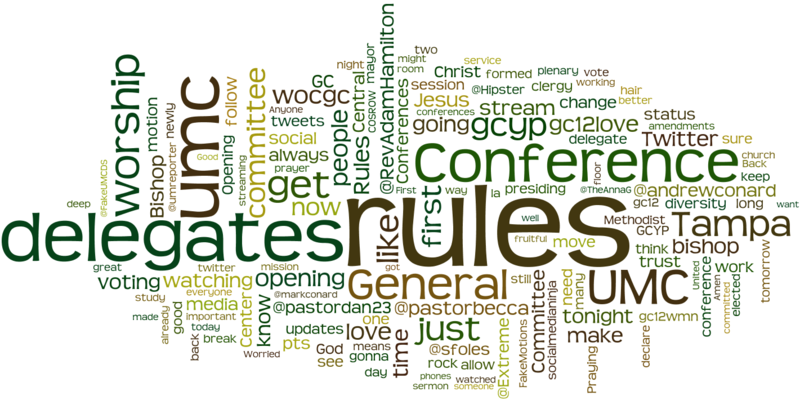 I collected Twitter updates tagged with #li2012. 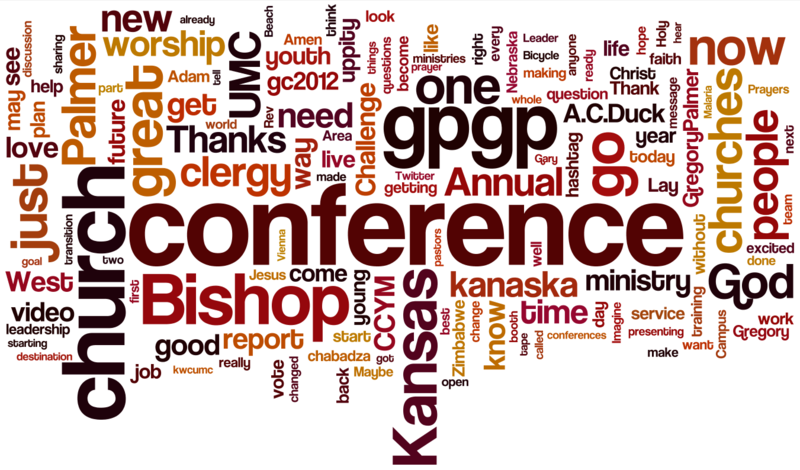 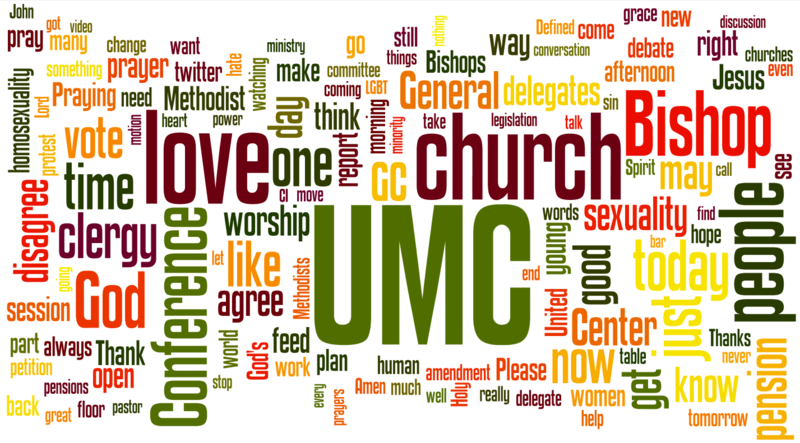 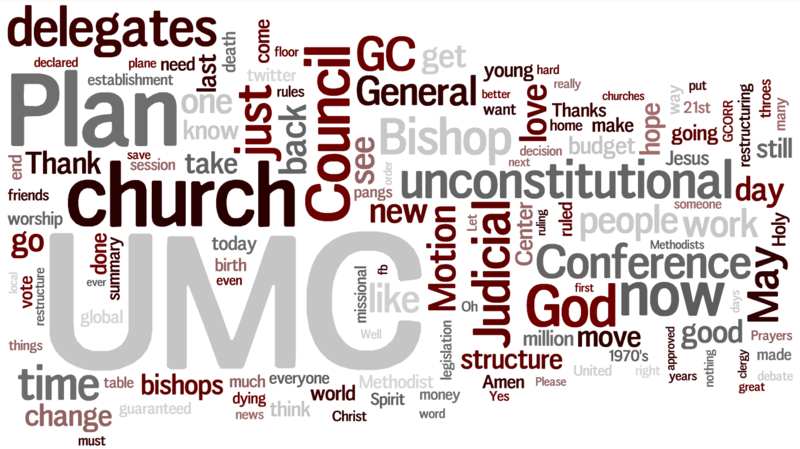 Then I used Wordle to create word clouds with the text of updates during the conference. 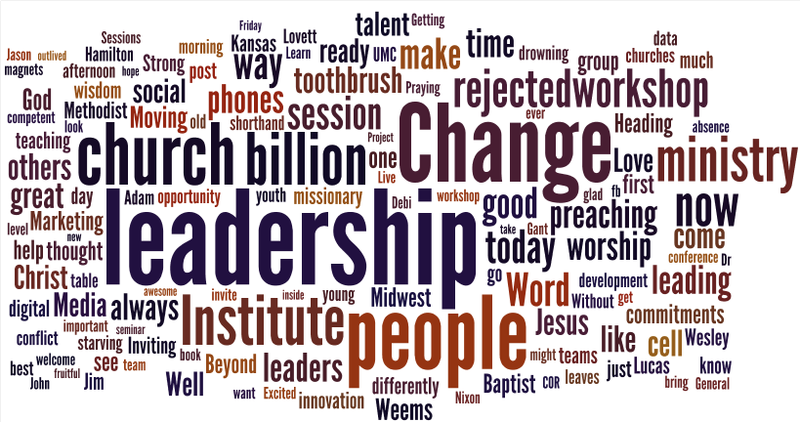 I edited out Twitter usernames, RT and #li2012 to get a better view of the conversation. 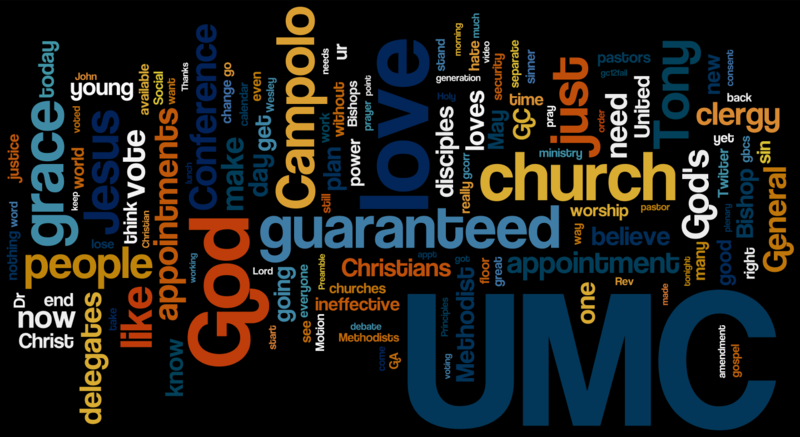 I hope that you enjoy the results! 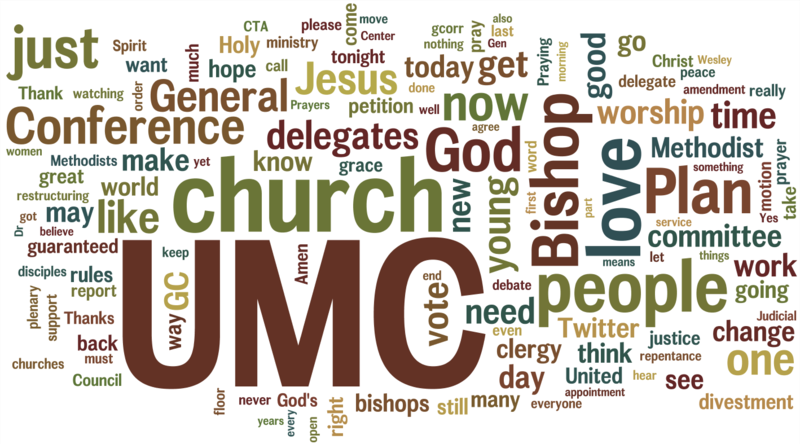 You can find the raw data of Twitter updates tagged with #li2012 at http://j.mp/VvLjlU. 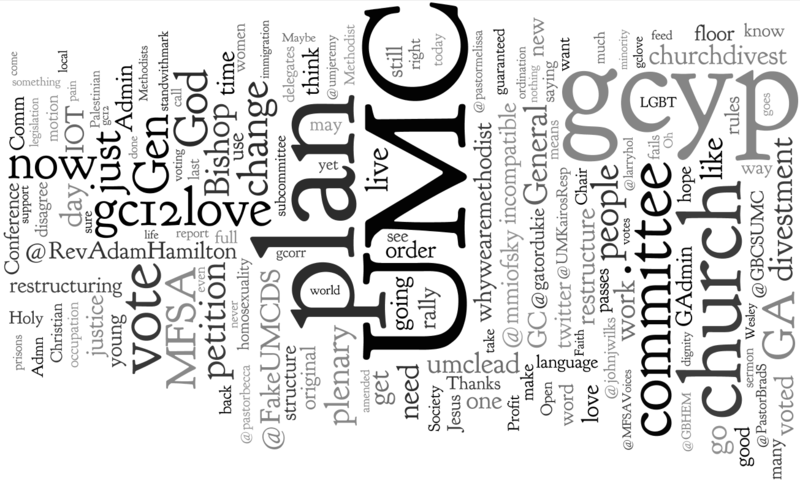 Feel free to use these updates and World to create your own word clouds.